Donald Trump is capitalizing on the "Pokémon Go" phenomenon by portraying "Crooked Hillary" as a wild Pokémon. A short video on his Facebook page shows a cell phone display with a Poké Ball flying toward an image of Hillary Clinton and then "capturing" her, in the style of the megapopular mobile game. Donald Trump held a fundraiser in downtown Indianapolis Tuesday, with Indiana Governor Mike Pence. The fundraiser held at the Columbia Club preceded a Trump rally in Westfield, Tuesday night. Governor Pence was present at both events with Trump, amid rumors the Governor may be named as his Vice Presidential running mate. Democratic law makers protested outside the Columbia Club as Pence and Trump arrived for the fundraiser. From downtown Indy, both Trump and Pence headed to a public rally in Westfield. Donald Trump is in Chicago for a fundraiser Tuesday, one week before the Republican National Convention is set to begin. A scheduled Fundraising event at the UIC Pavilion was canceled minutes before it started because of violent protests and clashes between demonstrators and supporters of trump. In a tweet sent out ahead of his campaign event, Trump said "Crime is out of control, and rapidly getting worse. 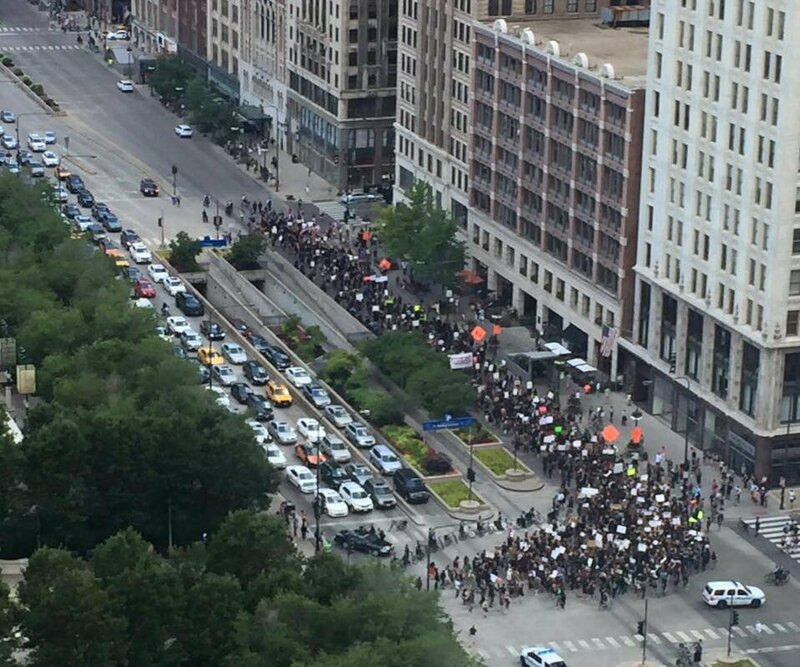 Look what is going on in Chicago and our inner cities. Not good!" 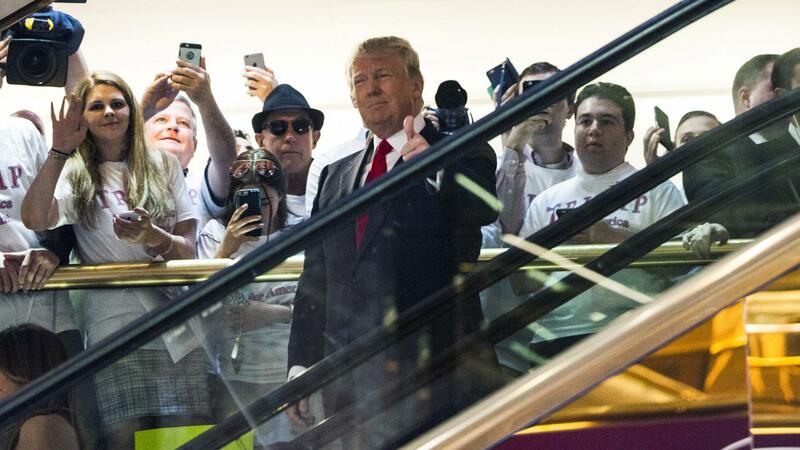 Trump will head to Indianapolis for a private fundraiser and rally later today. Apparently our Donald tweeted a photo of Crooked Hillary against a background of hundred dollar bills and a red six-pointed star emblazoned with the words "Most corrupt candidate ever!" 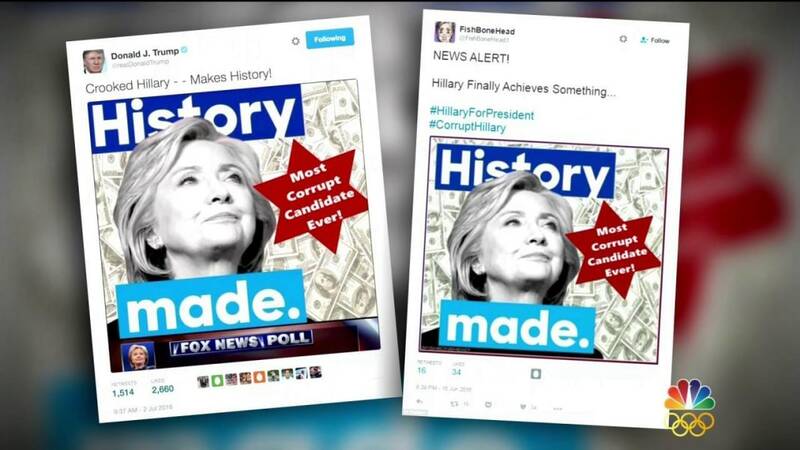 It later emerged that the star had been confused by many libtards as "the star of david" Trump immediately received criticism over the controversial star as "anti-Semitic" before Trump Campaign Staff deleted and replaced the star with a circle - (lol). Speaking to a crowd in Ohio Trump admitted he regretted his campaign staff decision to delete the controversial star from the illustration. Trump did however slammed the dishonest liberal press in several tweets for propagandizing the controversy. The detailed case of how Hillary Clinton compromised the safety of the American people by storing highly classified information on a private email server with no security. Her email could easily have been hacked by hostile actors, and has been confirmed that those she emailed with were hacked. Hillary Clinton lied when she said she did not send classified information. The FBI Director confirmed that over 100 emails were deemed classified at the time they were sent, including emails classified as top secret. But because of our rigged system that holds the American people to one standard and people like Hillary Clinton to another, it does not look like she will be facing the criminal charges that she deserves. Donald Trump on Monday spent part of his July 4th with Sen. Joni Ernst -- fueling speculation that the Iowa freshman senator could be on the short list of his vice presidential picks. Earlier, Trump tweeted, "I look forward to meeting (Ernst) today in New Jersey. She has done a great job as Senator of Iowa!" Ernst told Fox News they had a "good conversation," adding, "I will continue to share my insights with Donald about the need to strengthen our economy, keep our nation safe, and ensure America is always a strong, stabilizing force around the globe." Donald Trump is living rent-free in President Barack Obama’s head. In the past six months, Obama appears unable to resist condemning the presumptive Republican presidential nominee, criticizing his rhetoric on issues including terrorism, trade, illegal immigration, and the economy. The president has accused Trump of being racist, sexist, xenophobic, Islamophobic, and a con-man, mocking him for being a reality television star selling a bunch of “okeydoke.” Watch a highlight video of Obama responding to Trump. This article is designed to be an easy-to-understand guide now that the UK has voted to leave the European Union. What has happened? A referendum - a vote in which everyone (or nearly everyone) of voting age can take part - was held on Thursday 23 June, to decide whether the UK should leave or remain in the European Union. Leave won by 52% to 48%. more than 30 million people voting. It was the highest turnout in a UK-wide vote since the 1992 general election.